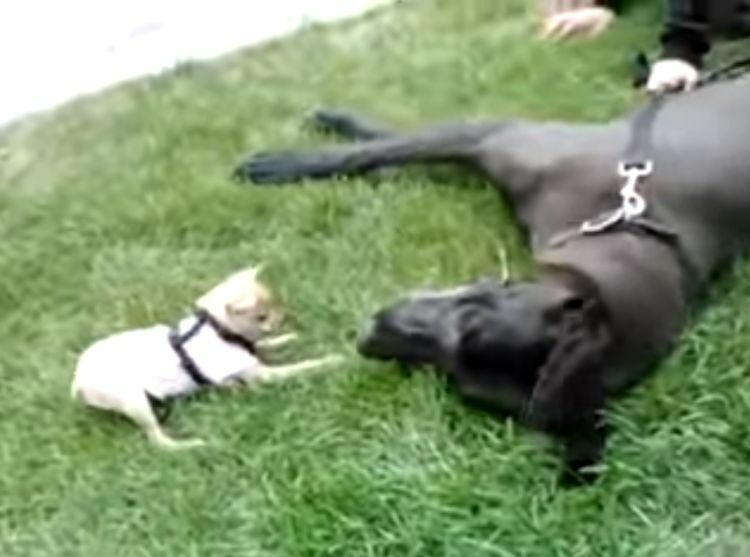 You wouldn't think that a Great Dane and a Chihuahua would make the best playmates. After all, the difference in size could put the Chihuahua's safety at risk. 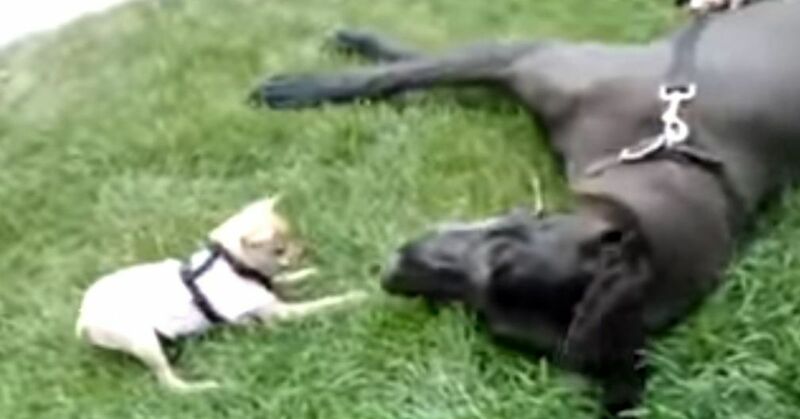 With the two breeds representing the opposite extremes in terms of size, they seem mismatched as playmates – unless you're talking about Lilly the Chihuahua and Vago the Great Dane. When these two dogs met up at a dog park, it was the perfect pairing right from the beginning. Lilly seemed completely unaware of Vago's massive size compared to her small stature, and Vago was patient and careful in playing with Lilly. If you've ever heard of Napoleon Syndrome, well, Lilly has it. The tiny dog is amazingly bold in the face of Vago's size. Even when Lilly stands up on her hind legs, Vago remains patient and maybe even entertained by this tiny dog.